After completing his 1st season with the Chicago Bulls, Pau Gasol steps into the lineup for 2014-2015. The 2-time NBA Champion and a 5x time All-Star makes Gasol an attractive selection. 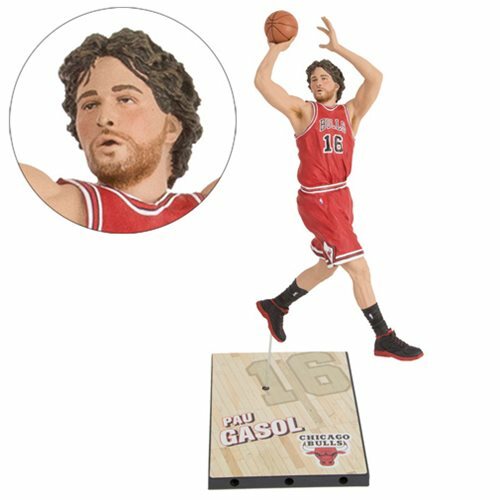 Pau Gasol measures 9-inches tall in his Chicago Bulls uniform, and is seen shooting an off-balanced jumper. Ages 13 and up.